Typically, when I go to Qdoba, I order the burrito bowl because the standard burritos are packed so full of the delicious ingredients that I end up using my fork and knife anyway. So, why not just go with the bowl? And, I love the burrito bowl, for the record! However, when I walked to the local Qdoba yesterday (just before noon), I knew I was going to try the smothered burrito. I walked into an empty shop and was warmly greeted by Taliyah. 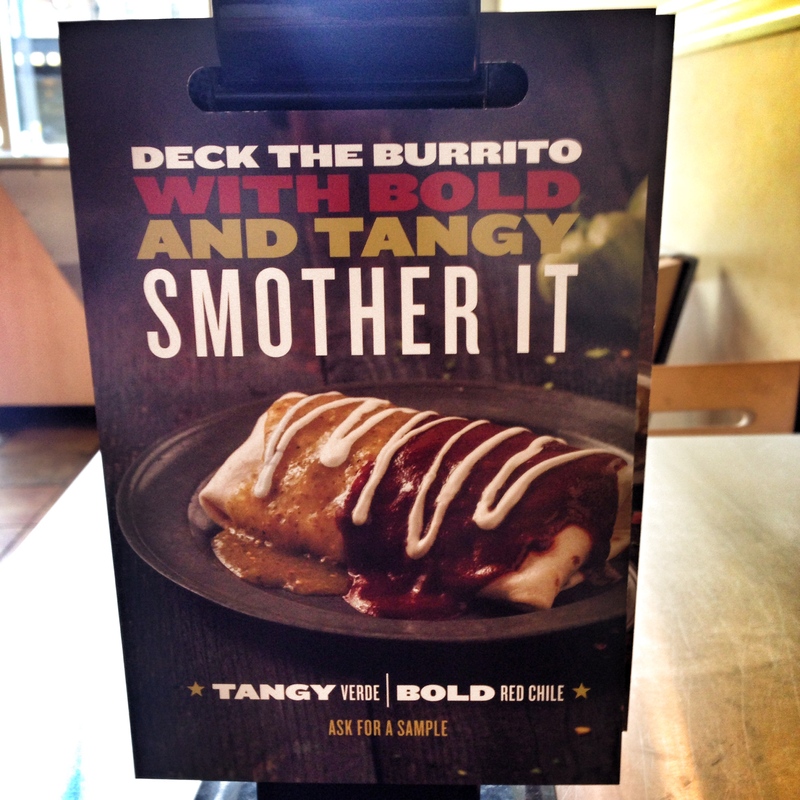 I advised her that I wanted to try the new smothered burrito, and asked her to talk to me about the newest menu item. Taliyah politely agreed, advising me that the smothered burrito is built from a smaller tortilla than the standard burrito. Then, it’s a similar process: choose your rice (white or brown), your meat (chicken, beef, steak or pork), and then your sauce (tangy verde, smoky chipotle cream, or bold red chile). The other ingredients (lettuce, salsa, sour cream, cheese, etc.) are added after the burrito is rolled. I had asked Taliyah if I could taste two of the sauces, and she graciously offered me two small cups with a chip to taste the tangy verde (made of tomatillos and mild peppers) and the bold red chile (made with toasted red chiles, with a bit of sweetness). I opted not to try the smoky chipotle cream (creamy, with smoky chipotle peppers) this time, but I’m sure I will soon! Both sauces I sampled were tasty, but I decided to go with the tangy verde sauce. In an effort to keep the integrity of the taste, or maybe because I’m boring, I chose to have the tangy verde both inside the burrito and over top of it. From there, Curtis took over and started building my smothered burrito. He was also incredibly polite and helpful. These are his hands at work! I chose white rice (after an internal battle, thinking brown rice would have been the healthier option – but I wanted the cilantro in the white rice!) and chicken – with the tangy verde, of course! I also decided to indulge and have the sour cream and cheese on top – because why not! There was a bit of confusion when I went to use the rewards card to pay, but that was worked out quickly. Alex was working the register, and just like the other employees, he was quite polite and professional too. I enjoyed the extra pop of flavor the tangy verde sauce added to the burrito. It wasn’t overpowering, but it added just enough kick with the peppers. The cool addition of lettuce and salsa was a nice juxtaposition against the piping hot burrito. Let’s just say that the whole meal just “hit the spot”. I’m very grateful for the invitation to try a newer menu item at Qdoba, and I was really impressed with the service Taliyah, Curtis and Alex provided me. This might be one of the friendliest staffs I’ve come across in recent times! Thank you all for a delightful lunch experience (you too, Abby!). As for the smothered burrito, I highly recommend it. I will add a note that my male (and generally quite hungry) colleague was a bit bummed that the smothered burrito is smaller than the traditional one and that the ingredients actually inside the smothered burrito are limited compared to the standard burrito. 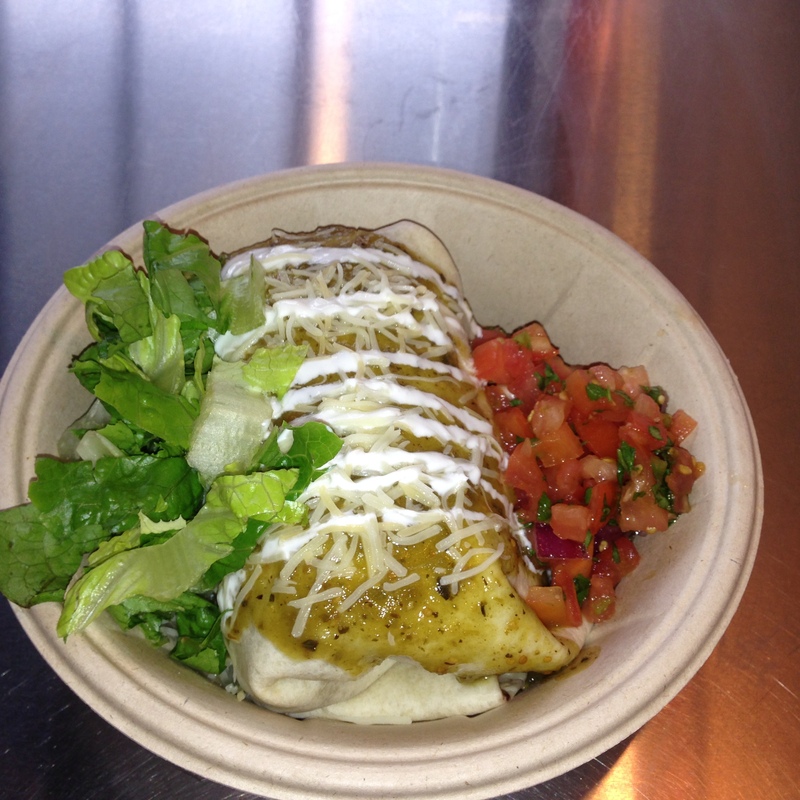 As long as you know that, I think you’ll really enjoy the Qdoba smothered burrito! 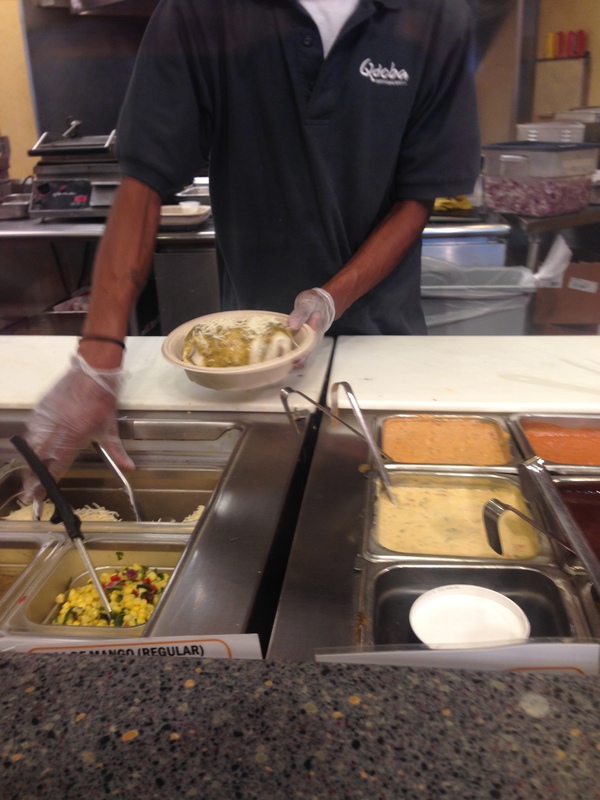 If you’ve tried the newest item on Qdoba’s menu, I’d love to hear your thoughts. Please leave a comment. I saw that you and hubby tried them too, Phi. It’s nice that y’all shared and tried two versions! Lucky! Admittedly, this wasnt a traditional SOW post, Ant, and Abby acknowledged that as well. However, sometimes a gal just needs yummy fast food! This was yummy. Tried the smothered burrito today. I was shocked at how small it was! We measured it against the regular burrito and found it less than half the size for the same price. I was still hungry after my meal. I truly felf ripped off. Sorry Qdoba portion size does matter! As I mentioned, my colleague had a similar response, so you’re not alone! Perhaps because I don’t usually order the burrito, I didn’t quite gauge the difference in size as being so dramatic. I appreciate your feedback, and I hope Qdoba does too! I tried it today. It tasted fine, but I agree that it’s WAY too small. This was the first time I’ve ever left Qdoba still hungry. And the fact that it’s the same price as a normal burrito is insulting. Qdoba should be offering this half-size burrito for half-price. It’s a shame they couldn’t just put the sauce over a normal size burrito. That could be quite good!